Brian Donnelly, KAWS, the professional name of the street artist, brings his huge rubber Mickey Mouse to Saint Petersburg. In the end of March close to the main part of the museum the work will be installed as the project 'Sculpture in the Courtyard'. The big toy will stand until the middle of October. It is a part of the animated cartoon series where the main hero is similar to Dysney Mickey Mouse but without bright paints. 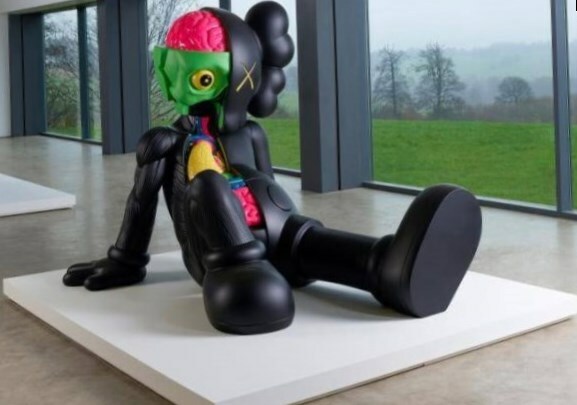 The rubber sculpture is painted black instead. By his work the artist raises the question about mass and elite culture and the influence of animated cartoon for all of us.